Is this summer's hottest iPhone cover (or coolest)? Moschino seem to have the iPhone cover market cornered these days. Last month the hottest item to accessorise your iPhone with was a Moschino mock-McDonalds French fries cover. 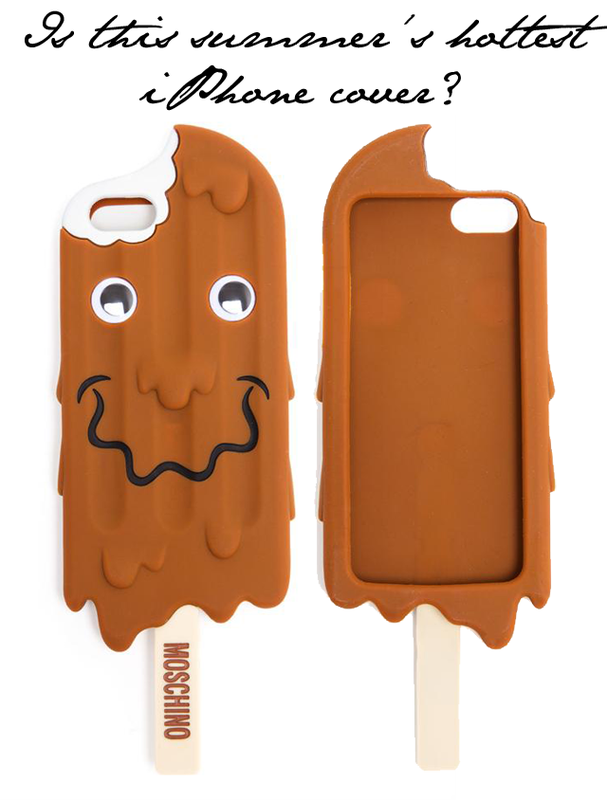 This month, it's all about the melted ice cream iPhone case. Already we're seeing instagram flooded with pictures of the quirky case. At £50 for the purchase, the new melted marvel is already selling out across the board. Will you be indulging? We're worried it would have us thinking of chocolate Popsicles all day. Looks good enough to eat. Eek!